The summer seemed to go by very quickly, but we were so happy to welcome our Redbirds back to campus last week. Our residence halls and dining centers are full, and the Quad is once again filled with a vibrant energy that our talented students bring to campus. As we begin the fall semester, we are excited to continue our celebration of 95 years of Student Government Association (SGA). This is a wonderful time to honor the students and alumni who have been part of this organization, as well as the impact SGA has made on the student body, from initiating several campus policies to their role in our University’s shared governance process. SGA alumni will be acknowledged during Homecoming this year, with a special reception on October 12, followed by the Student Affairs tailgate on October 13. We hope you will join us, as there will be plenty of food, fun, and great company for everyone! The division is also making great progress towards our goal for Redbirds Rising: The Campaign for Illinois State. 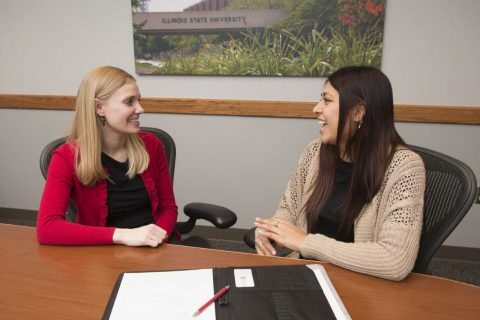 Student Affairs helps to advance the campaign’s objective of leadership, not only in our fundraising efforts, but also through the various leadership development programs we offer, including the ISULeads Leadership Certificate Program. Further, we would not be successful without the tremendous support of our generous, engaged, and committed alumni. Please take a few minutes to read about the campaign and our alumni who are assisting us in these fundraising efforts. 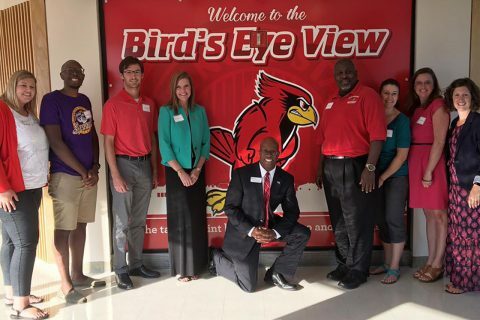 You can also learn more about our giving priorities in Student Affairs by visiting the Redbirds Rising website. Once again, I hope to see you during Homecoming, October 8-14! And as always, I encourage you to connect with us on social media between events to stay updated with what is happening on campus and in the division. 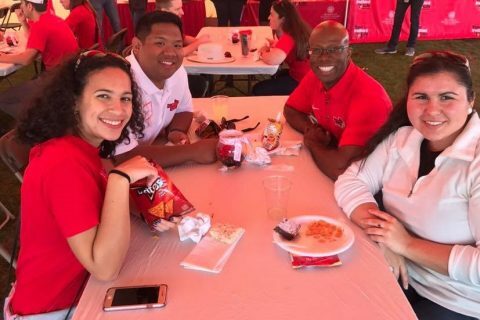 The Division of Student Affairs invites alumni and friends to join the Division of Student Affairs for a variety of events to help celebrate Homecoming 2018: Redbirds Rising. 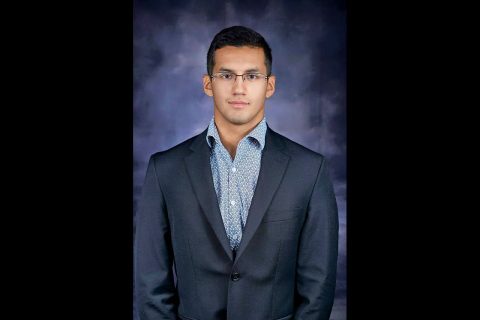 Fraternity and Sorority Life, a unit of the Dean of Students Office, is proud to announce that the current president of the Interfraternity Council (IFC) Ramiro Jimenez has been honored with the Undergraduate Award of Distinction by the North American Interfraternity Conference. Illinois State students are taking the future into their hands through the ISULeads program.